Voyager of the Seas has a FlowRider! (SPOT.ph) Cruise ships often have the reputation of catering only to retired couples who can afford to spend a luxurious "staycation" on a boat. Can't blame you! Five whole days in the middle of the ocean can be boring—if you don't know which cruise adventure to take. When Royal Caribbean International's Voyager of the Seas first set sail in 1999, it snagged the "largest cruise ship" title (before Symphony of the Seas launched in 2018) and made modern cruising cooler than ever. 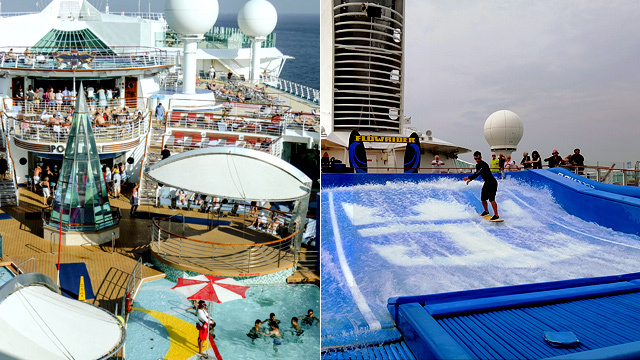 It was the first cruise ship to have a massive rock climbing wall, the world's first ice-skating rink at sea, and have three decks dedicated for a proscenium theater. We round up all the exciting things you never thought you can do while out at sea. 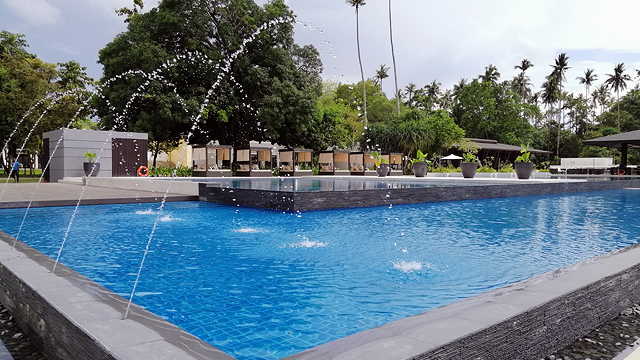 Test your core strength and balancing skills while riding an artificial wave (a.k.a. sheet waves) through a surf simulator known as the FlowRider. 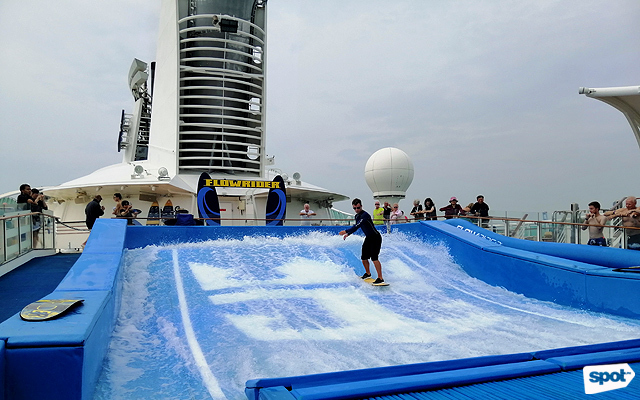 This cool machine that pumps out water at a very high speed is located at Deck 13, where you'll have a view of the vast ocean while doing your board tricks. 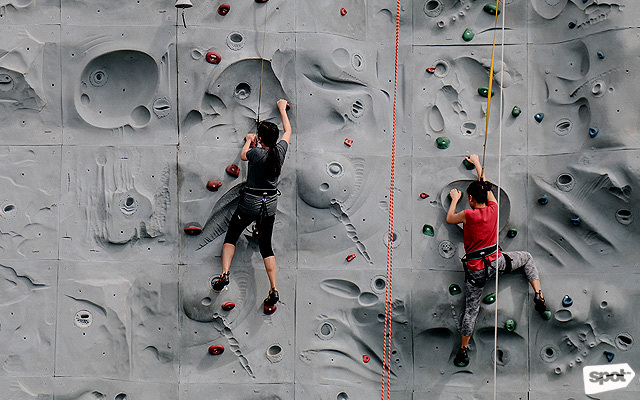 When checked in at Voyager of the Seas, you can try out the 44-foot outdoor rock climbing wall for free again and again—or until your legs give out. It has three routes, ranging from a beginner course with climbing holds evenly spread out, to an advanced path with an uneven surface. 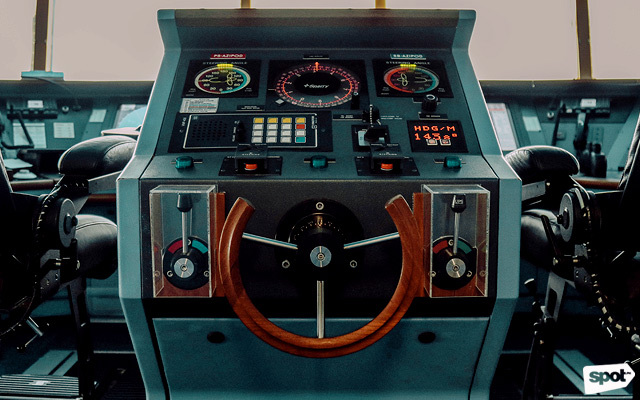 See how a competent team of seafarers drive a 1,020-foot long cruise ship all over the world through a tour of the bridge, which is where all the navigating happens. Don’t expect to see the huge captain’s wheel from the movies, though. It’s all buttons and computers now! 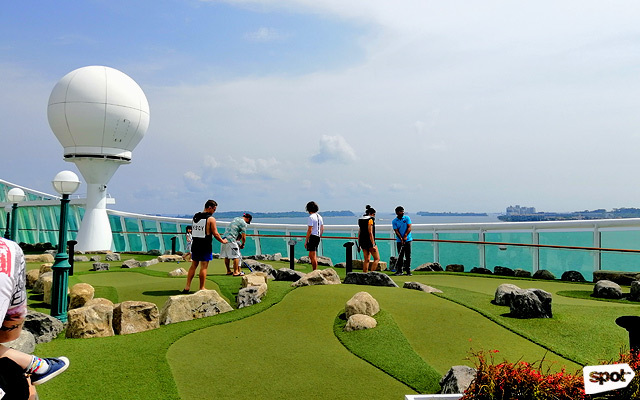 Voyager of the Seas' nine-hole golf course is perfect for some quality putting time. The best thing about it? You have a beautiful view of the blue sky and vast ocean as consolation in case you lose. 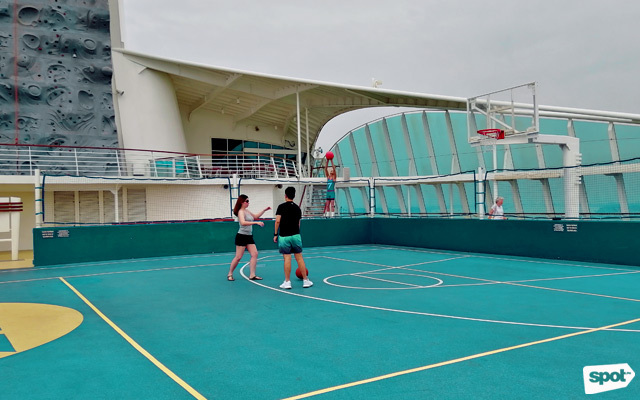 Round up the gang (or even a few strangers) for a game of basketball at Deck 12. It’s a good way to make friends your own age while the older guests are playing at the casino or drinking their fancy wine. 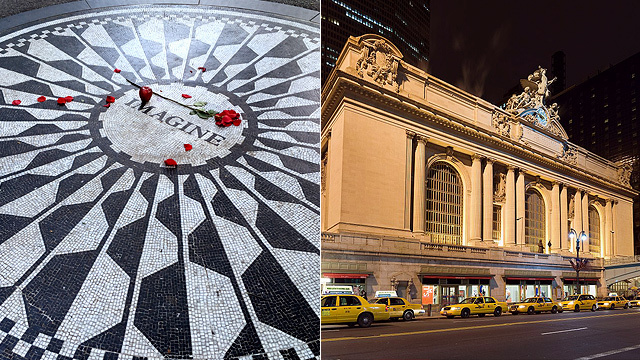 Fancy checking out some art? 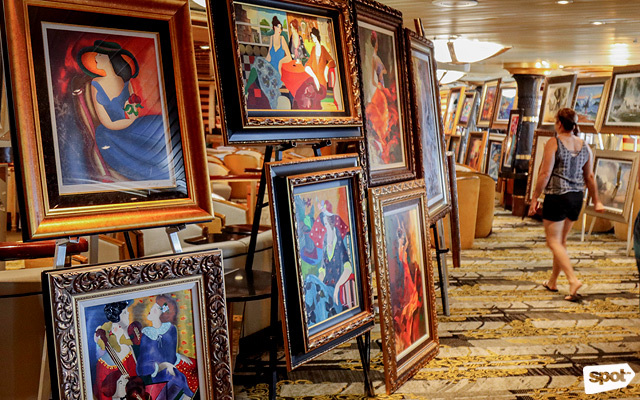 Voyager of the Seas gives you a visual feast through its onboard gallery at Deck 4. Watch for the art auction schedule through daily newsletters delivered to your room. 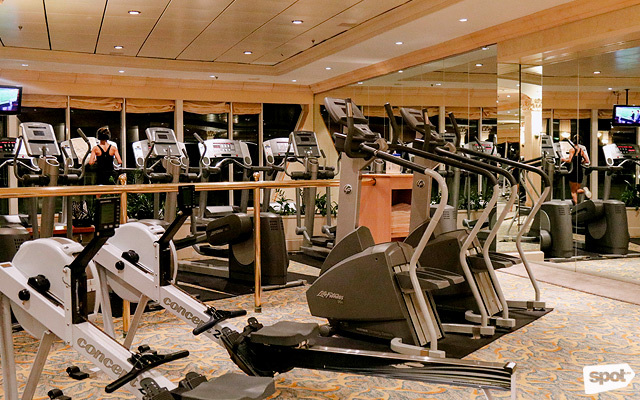 All of Royal Caribbean's cruise ships have its signature Vitality at Sea: Spa and Fitness Center, which makes sure that you never miss a workout session. It has everything you need, from exercise bikes to treadmills and even yoga lessons. Reward yourself with a full-body massage afterwards—you deserve it. 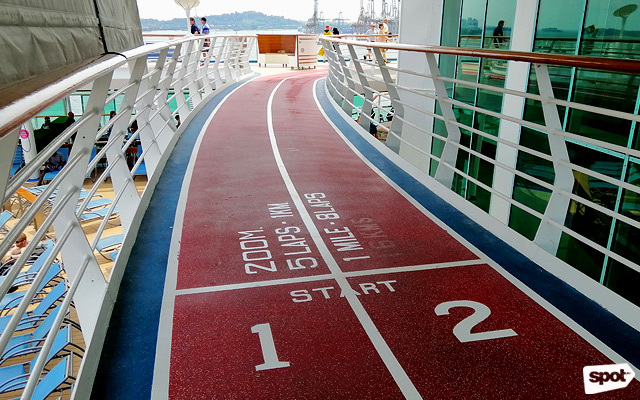 The running track on Deck 12 is perfect for racing with a friend. Five laps equal one mile so you can just imagine how easily you can lose some calories—only to gain it all back with the fancy five-course meals onboard. In case you can't sleep onboard, the video arcade at Deck 12 is open 24/7. 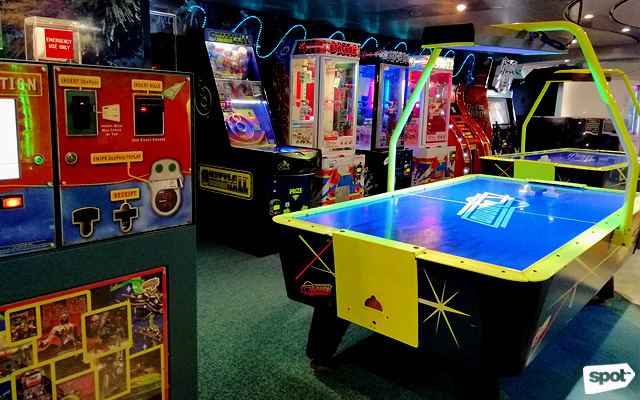 It has the usual air hockey tables, claw machines, car racing games, Skee-Ball, and Sega's Top Skater, which can be addicting. Games cost about U.S. $1 each, and you have to load your Royal Caribbean Card with at least U.S. $10 so you can start swiping. A restaurant kitchen can quickly turn into a war zone during meal hours. (Just see any of Gordon Ramsay’s reality cooking shows.) You can just imagine how stressful it can be for a cruise ship that feeds 4,296 guests day in and day out. 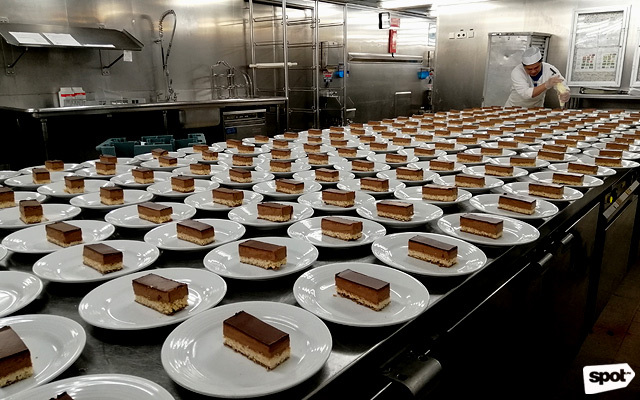 Book an all-access tour and see what goes on behind the closed doors of Voyager of the Seas’ three-storey galley kitchen. For more information, visit Royal Caribbean International's website.